Developers, don't develop in a system close to production system, making deployment painful. Vagrant fills this gap. Most of us, developers, don’t develop in a system close to production system. We develop in Mac (or Windows), but usually deploy on a linux flavour. This makes deployment painful. Vagrant fills this gap in the web-development process. Vagrant makes it easy to create development boxes as close to production. Technically, virtualisation by VMWare and VirtualBox solved this issue partially. I say partially, because it has been a tedious procedure to setup a virtual machine. Vagrant abstracts virtualisation from developer and makes creating virtual boxes smooth and quick. By developing in the virtualised machines (VMs), you can keep the development machine clutter-free. It is also possible to share the Vagrant boxes. So all your developers can have the same development environment without cluttering their machines. Enough of theory. Let us install Vagrant on Mac. Vagrant uses virtualisation at the background. You could use either VirtualBox or VMWare. I use VirtualBox because it is free. 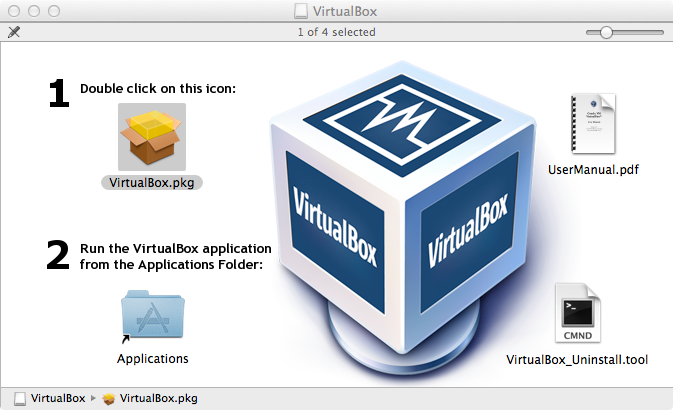 Latest version of VirtualBox, as of writing, is 4.3.12. Download and open the dmg file. Proceed with the instructions on the screen, which are fairly self-explanatory. Latest version of Vagrant, as of writing, is 1.6.3. Similar to VirtualBox, download the dmg file and open it. Proceed with the instruction on the screen to install it. Now let us create our first vagrant box. One of the feature of vagrant eco-system is that lot of prebuilt boxes are available for download. Go to, Vagrant Cloud, and search for a box. I chose a minimal centos box. Since I have an unreliable internet connectivity, I prefer to download the box locally and then create a vagrant box (Bit of a detail, but will help new Mac users. All of the below commands are issued in Terminal app). I also prefer to create a directory for every VM box I create. If the download (or addition) was successful, vagrant box list should list the box that was just added. and try again to bring up the vagrant box. While we are at vagrant plugins, install another useful vagrant plugin, vagrant-list. This adds a functionality to Vagrant which will list all the boxes created using vagrant and also provide their statues. Very useful if the system becomes slow because you are running too many virtual boxes. Now if you issue, vagrant list, it will list, the details of the vagrant boxes, including those that are running. This will connect to the virtual machine and show vagrant prompt. Issue these within vagrant box. It will take sometime to update everything. If you are stepping out in-between, be sure to modify the ‘energy settings’, otherwise you may have to start over. Once completed, exit from vagrant and reload the box again. Now let us add this box to our vagrant boxes. Cool thing about vagrant is that it automatically sets up the current host folder as the share folder within the virtual machine. It is accessible at /vagrant from within the virtual machine. Here, I forward two ports from the guest’s to the host’s. Remember to vagrant reload if you change the VagrantFile while vagrant is up and running. Vagrant documentation is detailed and that should serve you well. There are other blog posts that helped me as well.